Manitoba’s Labour Market Occupational Forecast reports 167,700 new or replacement job openings could be up for grabs. The number comes from projected job growth and the number of people retiring or dying. 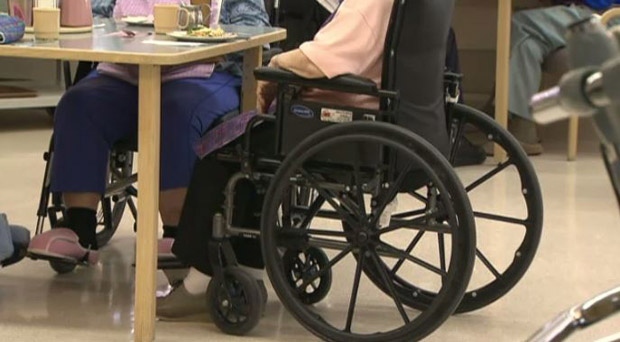 The province says close to 15 per cent of Manitobans are 65 years and older and that number will increase by 43 per cent over the next 20 years. It’s a provincial outlook that translates into a need to fill about 24,000 job openings each year. But where will the people to fill the positions come from? The Manitoba government says more than 20 per cent will come from immigration. In 2016, 16,820 immigrants came to Manitoba. But while the federal government has pledged to take in hundreds of thousands more newcomers in the years to come, Citizenship and Immigration Canada says it cannot predict where they will settle. University of Winnipeg Economist Philippe Cyrenne says if the provincial forecast is correct, meeting labour needs will be significant. He says not every newcomer is ready to work right away and they may need language or technical skills. He points out many of the forecasted job openings, more than 60 per cent, will require people to have some post-secondary education. Cyrenne also says it's not clear how many newcomers will stay long term or even if the labour prediction will materialize. "If the new job growth is lower and people don't retire as much, than the job openings will be significantly less," he said. A couple of factors could give Manitoba an edge. Statistics Canada says the province is expected to have one of the lowest proportions of seniors in Canada. The Conference Board of Canada, a non-profit organization that studies economic trends says Manitoba has a higher fertility rate and has seen success attracting immigrants with the Manitoba Provincial Nominee Program which can speed up the immigration process for people with skills and experience. "Manitoba welcomes a great share of international immigrants, a much greater share of their population in Canada, and that has really greatly benefitted the economy over the last decade,” said Marie-Christine Bernard, the Conference Board of Canada.